How Do I Set Up Honda Civic Bluetooth? Activate the Bluetooth connection on your phone. Select the “Phone” button on your Civic screen. Choose your phone from the list of active Bluetooth devices. Your phone will show a 6-digit code. Make sure it matches the code displayed on the Civic. While inside the Civic, you can begin using your smartphone to make calls via the HandsFreeLink system. If you run into any problems while pairing your phone with your Civic, don’t despair! 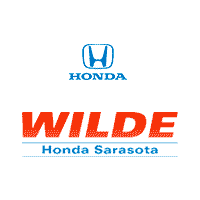 Wilde Honda Sarasota (located just a short distance from Ft. Myers, FL) is here to help with any Civic tech questions. Where Can I Find Help with Honda Bluetooth Setup? The tech experts at Go Wilde Honda are happy to assist with Bluetooth setup. We have years of experience helping Bradenton customers learn about their new Honda Civic vehicles and can answer any questions you have. You deserve to be able to listen music while running errands in Lakewood Ranch, and that’s why all new Honda Civic Sedan trims (including the new Civic LX) are equipped with the HandsFreeLink feature. Contact us today to stay connected in Venice, FL! 0 comment(s) so far on How Do I Set Up Honda Civic Bluetooth?